When I was a teenager, I fully expected to win a Grammy, Tony, Oscar and an Emmy at some point or another. I used to practice my acceptance speeches in the shower (typically after singing for the shower tiles, who as I have mentioned in the past, were always so appreciative they would sweat with enthusiasm). Certainly I would look fabulous (proof enough that this was fantasy) and make sure to gracefully acknowledge everyone who contributed to the moment. And I’d be witty and brief (further proof that this was self-indulgent make-believe), ensuring that I wouldn’t get cut off by music or a commercial. And though I still tune in when an award show airs, I now find them to be almost as good as an Ambien. I fall asleep after the first “Thank you so much! I can’t believe it! !” I’m sure some speeches are sincere, others may be funny – most are simply disingenuous. And most of the recipients can’t move their faces any longer, which makes it difficult to determine whether or not they are feeling anything at all. I on the other hand have the joy of accepting awards that are given with far more generosity and sincerity. This virtual community supports its members with acknowledgements that come from a lovely, honest place and I get pretty ferklempt (look it up in a Yiddish dictionary – ‘very emotional’ is probably close) when I am graced with one and permitted to pay it forward. 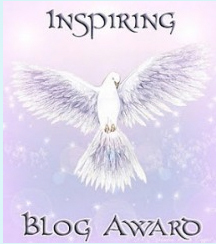 Renee@positiveboomer.net was kind enough to nominate me for two awards earlier this week. 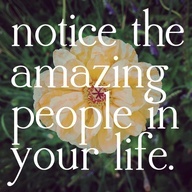 I am very appreciative and grateful and a little embarrassed. The embarrassed part is just me – you can just ignore that – it doesn’t diminish my thank you. Renee and I share a slower, longer learning curve than most of you when it comes to anything technical. And we both love Twinkies. I love the joy in her posts – from the simple advice to the thoughtful expositions, the title of her blog suits her perfectly. I’ve never been part of a Sisterhood before – though I have been asked to join the Sisterhood at our temple. I have a sister who just rocks my universe, but in a family of two sisters, I don’t think we had the numbers to qualify. And I have a sister-in-law who I love very much..hmm..Anyway, I am now part of a larger Sisterhood and that is very cool. I do wish though that the name of this award could be changed so that it included men – for some of my favorite bloggers are men. “Personhood” doesn’t sound very inviting … Something to think on.. 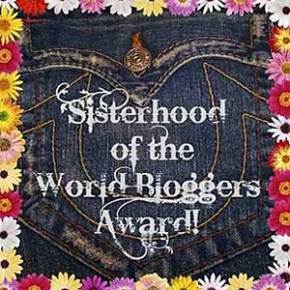 Anyway, I believe the following bloggers are definitely Sisterhood material..
David@davidkanigan.com – one of these days he is going to acknowledge an award from me. Well, he may not, but he was the first person I started to follow when I began this little journey, so he’s just going to have to deal with it. Please give yourself the treat of reading these wonderful blogs – and then you will know why I can’t seem to step away from my laptop. I guess I went on longer than the two minutes accorded most acceptance speeches – thanks for not giving me the hook..
Before I head off for the last of the current Thursday training classes, I wanted to send you a “Happy Thursday” and a thought for the day…Personally? 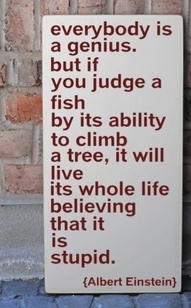 I’ve met my share of people who I wished would go climb the nearest tree – but it wasn’t because of their mental acuity. Excel in your realm; at the least have a good day.